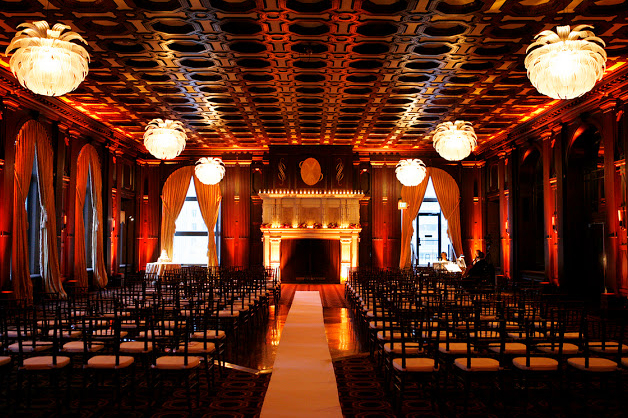 The Julia Morgan Ballroom Wedding Venue located on the 15th floor of the Merchants Exchange building is an extravagant, dignified event space. The lobby opens with a barrel-vaulted glass ceiling. The entryway is also decorated with classic gold leaf, bronze and sophisticated marble. 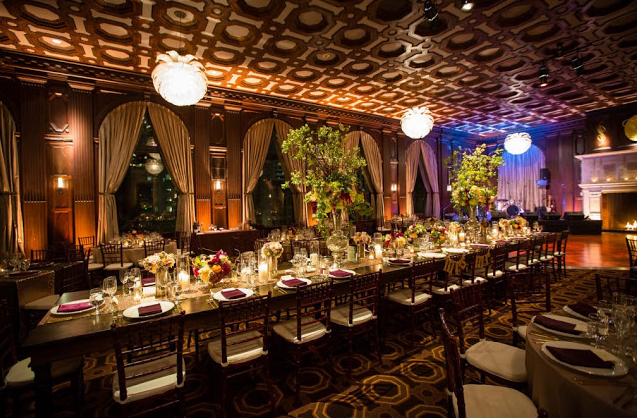 The 4,000-square foot space, fit to hold up to 350 guests, is dominated by the intricate, mahogany, honey-combed ceiling design, almost mirrored in the royal carpeting below. A grandeur, 20-foot fireplace serves as one of the focal points in the impressive room, designed by Willis Polk and Julia Morgan. Arched windows surround the room offering a magnificent, sparkling city view. Every detail leads to the next, including the 27-foot, curved mahogany bar, the centerpiece of the adjacent lounge. 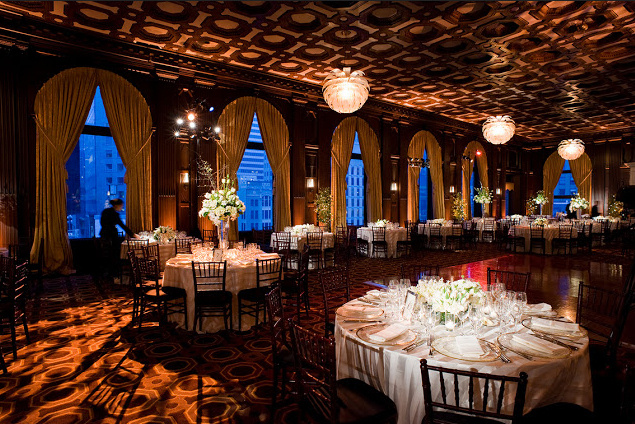 The Julia Morgan Ballroom Wedding Venue Capacity Max Indoor Ceremony: 350 guests, Max Indoor Reception: 350 guests.